Maca tastes malted, like Horlicks! Maca is a great addition to desserts and sweet treats. Maca tastes malted, like Horlicks! Maca is a great addition to desserts and sweet treats. 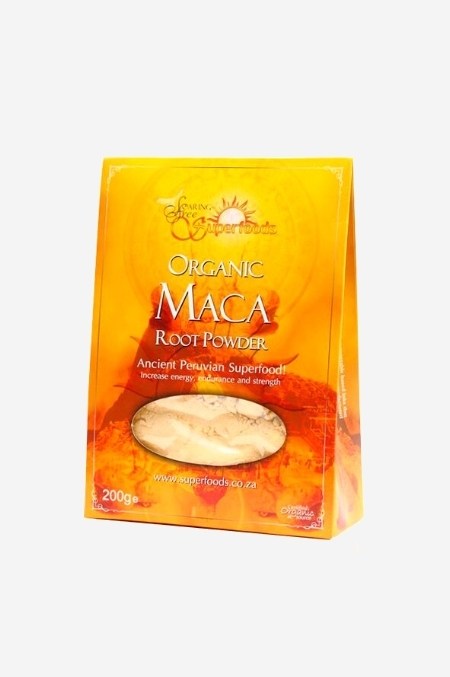 Maca has an incredible synergistic effect when combined with raw cacao nibs or raw cacao powder. You can consume 1-8 teaspoons per day to begin with. The more maca you consume, the more benefit you are likely to get. Maca is packed with vitamins especially vitamins B1, B2, C and E. It is rich in minerals including calcium, magnesium, phosphorous, potassium, sulfur and iron, and contains trace minerals, including zinc, iodine, copper, selenium, bismuth, manganese and silica.